For resources, information and support to help your local church establish and continue its own Faith Community Nurse Program, please email fcn@elimcare.org or call (952) 259-4461. The Elim Care Faith Community Nurse Advisory Board is an active, hands-on partner of the Elim Care Faith Community Nurse Program (FCN). Their mission is to actively encourage, support and develop Faith Community Nursing by planning educational seminars, providing prayer support and program direction. 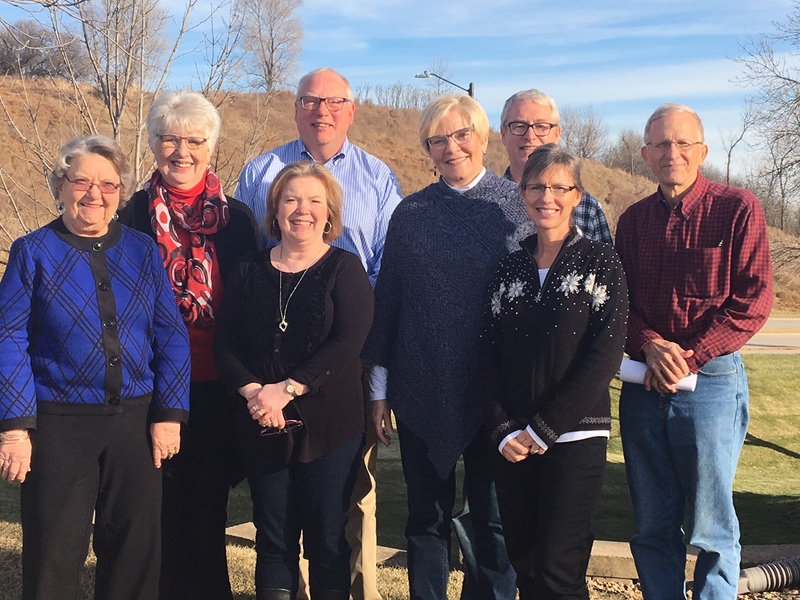 The Elim Care Faith Community Nurse Advisory Board includes the following members, left to right: Dee Huanca, FCN, First Free, Minneapolis; Mary Van Der Werf, FCN, Revive Church of Brooklyn Park; Mary Martin, FCN, Oxlip EFC, Isanti ; Dave Kiel, Elim Care VP of Fund Development and Spiritual Care; Joanne Hall, Elim Care FCN Director; Pastor Dan Osborn, Waterville EFC ; Cynthia Dainsberg, RN, FCN Calvary EFC, Walker; Jim Struve, MD, Trinity Lutheran, Minnehaha Falls; not pictured: Kimberley Meyer, RN, EdD, Bethel University; Shelly Rock, FCN Educator. RN to BSN Online– A great resource for RN’s considering obtaining their degree, evaluating cost and financial aid, and providing a realistic view of their potential for career development. These resources are available to everyone and does not involve any cost and the information is updated yearly. These publications are available from The Church Health Center Store as digital downloads. An introductory packet of 13 reproducible sheets explaining an FCN’s mission, role, and activities. Other topics include starting a ministry, utilizing available resources and addressing liability concerns. 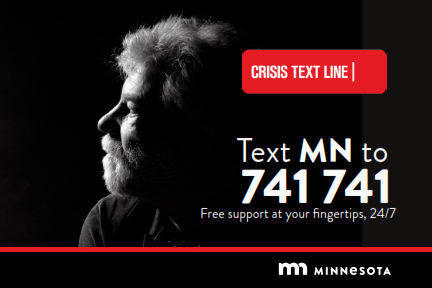 This is a digital resource to be downloaded and printed at your convenience. This resource contains disease specific assessment guidelines geared towards faith community nurses with the aim to improve the quality of care provided by addressing risk factors and performing standardized assessment for each health concern. Assessments are provided for Alzheimer’s disease, Asthma, Cancer, Diabetes, Congestive Heart Failure, Hypertension, Mental Health, Multiple Chronic Diseases, Parkinson’s Disease, Post Hospital Discharge, Post Operative Assessment, Spiritual Distress, and Stroke. In addition to the assessments, important resources, normal laboratory results, vaccinations and screenings have all been listed. Specialists in each field were consulted to verify all the information provided. Seasoned FCN and educator Helene Van Der Werff, answers commonly asked health questions in short informational paragraphs to be used in bulletins, on bulletin boards, and in newsletters. Available as a downloadable file. Wholistic vs. Holistic Care in Faith Community Nursing By: Debbie Ziebarth,MSN, ED, PHDc Candidate at University of Wisconsin, Milwaukee. We encourage you to submit prayer requests, share stories and offer resources by contacting FCN@elimcare.org anytime. There are many ways to stay connected with other Faith Community Nurses. A number of websites offer valuable information and the Church Health Center has a blog site where FCN’s throughout the world post questions, give insight, and offer a number of resources. Elim Care FCN Ministry is committed to provide resources and information that can save you time and provide opportunities for you to network with others and have hands on assistance as needed. Mary Martin, Elim’s Faith Community Nurse Director, sends regular updates through emails that offer encouragement, resources and stories to those who are interested in Faith Community Nursing. We also host monthly Share and Prayer meetings where a number of FCN’s come together to pray with and for one another and share valuable resources and stories. Occasionally CEU’s are offered. If you would like to begin a Faith Community Nursing program at your church, training is offered periodically. This course explores the specialty practice of Faith Community Nursing which combines professional nursing and health ministry, emphasizing health and healing within the faith community and the larger community. It offers registered nurses with a strong spiritual faith the knowledge to implement and facilitate a Faith Community Nursing ministry, as well as practical opportunity to apply learning from the course to the dynamic nature of their faith community and its particular needs. During this course students need not be online at specific times. Assignments have due dates, and within the boundaries of assignment due dates you are free to complete them according to your schedule. This course is derived from the curriculum endorsed by the Westberg Institute for Faith Community Nursing and is led by Shelly Rock, RN, MSN, FCN Coordinator and Westberg trained Educator. SPEAKER- Dr. Carla Dahl, Professor of Congregational and Community Care Leadership; and the George C. Weinman Chair of Pastoral Theology.